Today is Cinco de Mayo, or the Fifth or May. Contrary to what is commonly believed, (including myself), Cinco de Mayo is actually more of an American, or at least a Mexican-American, holiday than a Mexican one. Cinco de Mayo is only celebrated regionally in Mexico, Primarily in the state of Puebla and Vera Cruz. Schools are closed on this day, but it is not an official national holiday in Mexico. Cinco de Mayo celebrates the Mexican victory over the French at the Battle of Puebla on May 5, 1862. In 1861, the Mexican government was bankrupt and President Benito Juarez suspended payments on Mexico’s foreign debt. In response Britain, France, and Spain sent naval forces to occupy the city of Vera Cruz and demand payment on the debts Mexico owed them. Juarez managed to come to an arraignment with Britain and Spain, but the French, ruled by Emperor Napoleon III had other ideas. Louis Napoleon III was the nephew of Napoleon I Bonaparte. He had somehow managed to get himself elected as president of the Second Republic of France in 1848, but he decided that president was not a grand enough title for a Bonaparte and in 1851 he seized dictatorial power in France and named himself Emperor. In spite of being the nephew of Napoleon I, Napoleon III was not a particularly aggressive Emperor and was mostly content to have France at peace with other European powers. With the crisis in Mexico, however, Napoleon III saw an opportunity for France to gain an empire in Latin America. The United States was involved in the Civil War and was in no position to try to enforce the Monroe Doctrine. In fact, an additional benefit to French occupation of Mexico would be to give France a base with which to send aid to the Confederate States, keeping the nation divided and unable to resist the French conquest. The French army invaded Mexico with 8000 men under the command of General Charles de Lorencez late in 1861. This army marched from Vera Cruz in April of 1862 and defeated Mexican forces led by Ignacio Zaragoza Seguin on April 28. Seguin retreated to the city of Puebla where the Mexicans had two forts. Seguin had only 4500 badly armed and trained men to defend the city. It seemed likely that the French would crush the Mexicans and march on to Mexico City without and further resistance. On May 5, Lorencez attacked the forts with 6500 men. Against all odds the Mexicans successfully defended the forts against three assaults. By the third assault, the French artillery had run out of ammunition, so the infantry had to attack without artillery support. They were driven back and the French had to fall back. 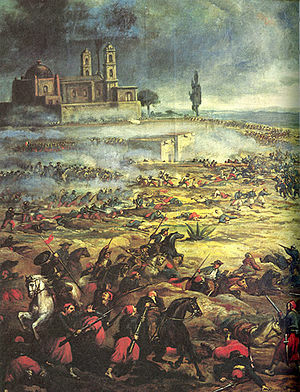 Then, Seguin attacked with his cavalry while the Mexican infantry outflanked the French on both sides of their positions. 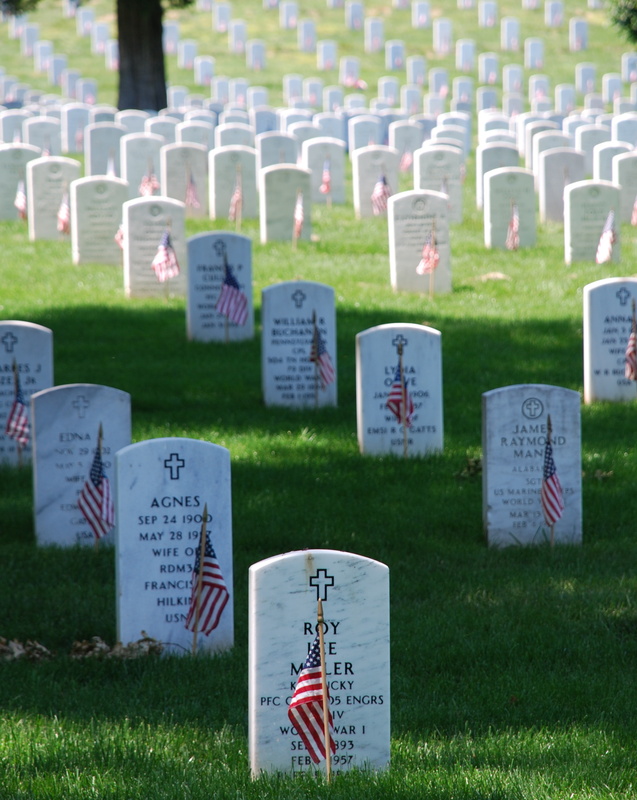 The French were routed with 462 men killed, while the Mexicans only suffered 83 dead. This unlikely victory has been an inspiration for Mexican patriots ever since. The victory was a short-lived one. Napoleon III sent reinforcements to Mexico and the French were able to conquer the country. Napoleon III placed the Austrian Hapsburg Maximilian as the first Emperor of the Mexican Empire. He was also the last Emperor, since as soon as the United States was finished with the Civil War, the U S government made it clear to Napoleon III that it would not tolerate a French colony on the southern border. Since Napoleon III did not want to fight a war against battle hardened Civil War veterans, he removed the French troops. Maximilian, despite the fact that he sincerely tried to govern Mexico well, was quickly overthrown and executed. Although Benito Juarez declared that the anniversary of the Battle of Puebla would be a national holiday, Cinco de Mayo was first celebrated by Mexicans in the American Southwest, the territories the US gained in the Mexican War. The former Mexicans began to celebrate Cinco de Mayo both as a way to express their Mexican identity and to show their support for the North in the Civil War. It may seem odd that these unwilling Americans would care about a war half a continent away, but the Mexicans were against slavery and Hispanics insisted that California enter the United States as a free state. Cinco de Mayo gained in popularity in the 1960s with the rise of Latino activism and still more in the 1980s when beer companies realized that the celebratory nature of the holiday would be a good marketing tool to sell more beer. So happy Cinco de Mayo, or should I say feliz Cinco de Mayo!